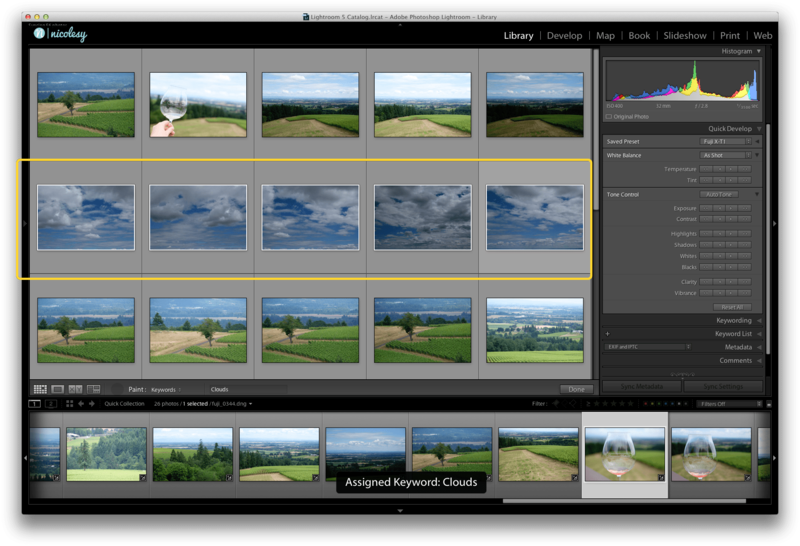 One of my favorite features in Lightroom also seems to be one that is typically under-appreciated. Have you ever noticed that little paint-can icon in the toolbar below your photos in the Library module? 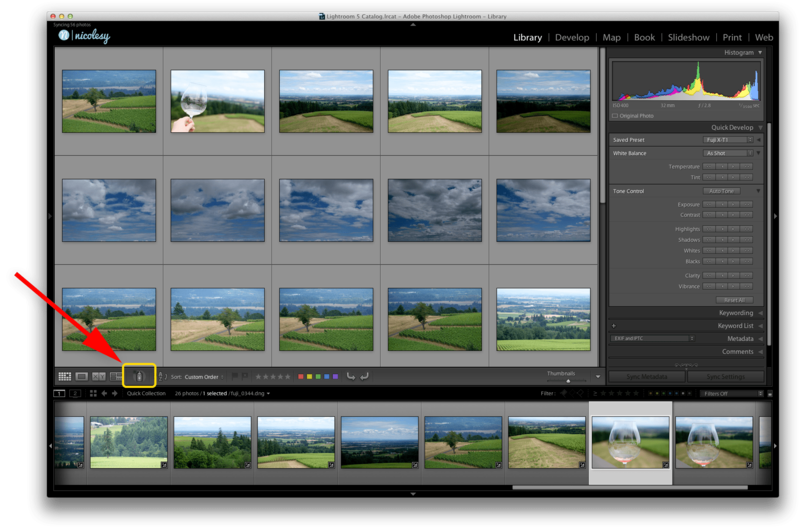 This feature, in my opinion, is one of the single most powerful tools in Lightroom, especially if you are an organization freak (like me). In a nutshell, the “Painter” tool allows you to quickly apply settings to photos with one click (metadata, keywords, presets, and more). 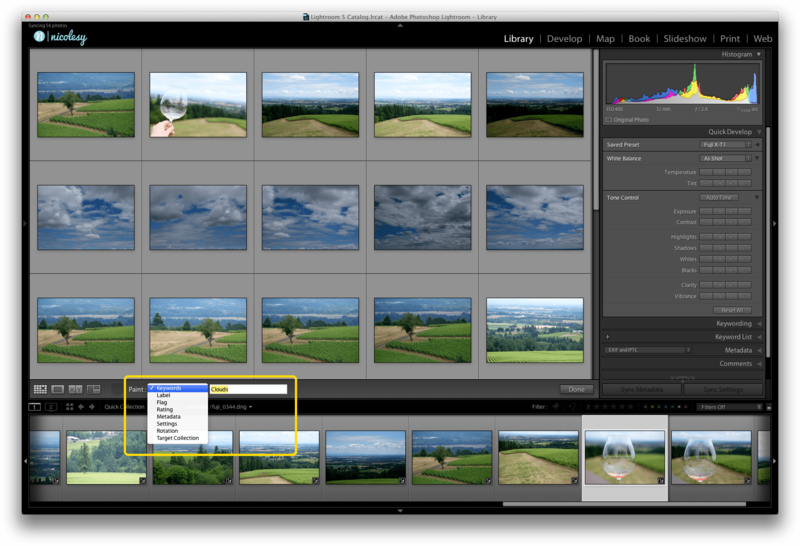 It’s great when you are scanning your photos in Grid view and want to quickly apply your settings without viewing the images up close. Next, choose what you want to “paint” on your photos. For this example, I will be painting the keyword “Clouds”. Then, click on a photo to “paint” your settings on that photo. It’s that simple!